Humidity plays a crucial role in keeping your home comfortable. While there are various ways to enhance the comfort in your home, only a humidifier can address certain issues. 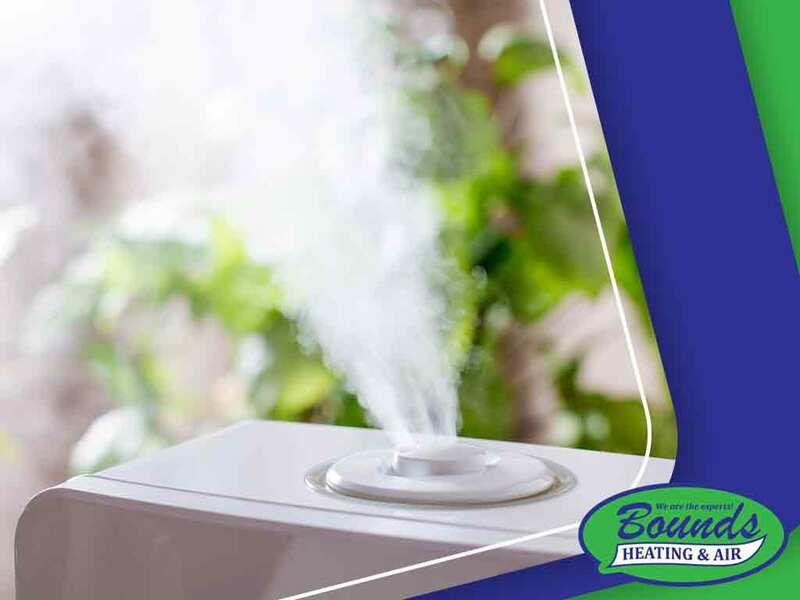 In this article from your trusted air conditioning repair company, Bounds Heating & Air, you’ll find out exactly how a humidifier can help improve your home’s indoor air quality. Indoor air quality (IAQ) pertains to the quality of air within a certain building or establishment such as a residential property. IAQ can affect the health and the overall quality of life of the building occupants. This is why it’s important to find ways to improve your home’s air quality. Getting a humidifier is one way to solve your problem. A humidifier is an electric unit that adds moisture to the air by producing mist or steam in the room where it is located. You can choose from an array of different humidifier models such as compact, personal, and portable. There are also floor consoles and whole-house variants. Price points depend on different styles and sizes. Choosing a humidifier can get overwhelming, but you can always consult your HVAC maintenance company for their recommendations. Humidifiers combat dry air. With a humidifier, you can say goodbye to chapped lips, coughing due to pollutants, and static electricity. Humidifiers can also prevent wooden furniture from cracking prematurely. Humidifiers can be used all year round: in the summer when it’s hot and even during winter when the air tends to be dry. Keep in mind that the average relative humidity level should be kept between 35-45%. Consult your HVAC repair company on how to maintain the ideal humidity levels in your home. Bounds Heating & Air is committed to giving you excellent services and outstanding workmanship. Turn to us for all your heating and cooling needs. You may call us at (352) 278-9123. We serve Lake City, FL, and other areas in Florida.